First, it was the unadulterated praise a few days ago, that the Uganda Primary Education (UPE) had succeeded with flying colours. It was President Yoweri Museveni, himself, presiding over the occasion with an elaborated signing of a huge plaque representing a book praising the success of UPE. No other than his wife, the First Lady, and Minister of Education, Janet Kataha Museveni, flanked him at the eventful ceremony. Then, some days later, the World Bank (WB), issued its own report in a muted occasion, with Mrs. Museveni in attendance, and the WB officials of Anthony Thompson and Sajitha Bashia. The report, “Facing Forward Schooling for Learning in Africa”, essentially noted that, in spite of the impressive numbers of annual enrolment in Primary school, the quality of learning was not there. Despite its authoritative global backdrop and well-presented aura of research, “Facing Forward…” might simply have looked at what this column published a few months ago last year. It was titled; “Community Primary School Reflect Poor Shape of UPE.” And the feature story was about Edakua Community Primary School of the sub-counties of Arua District. The story continued: “It typifies and gives an eloquent picture of the level of education in the country – specifically at the Universal Primary Education (UPE) stage…. When the UPE policy was enunciated those many years ago, the idea was that a credible standard of education would be availed to the millions of children so that they would be [learned] enough to access the higher levels of education. The WB’s Education Practices Manager, Dr. Bashia, would be hard-pressed to disagree with this. In effect, in her presentation, she said that, for a variety of reasons that they present in their report, Uganda’s UPE pupils “are not learning”. 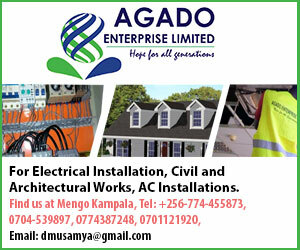 In a study that covers other African countries, the report grouped Uganda in a derogated Category Two, even in the East African region. As Edakua Community Primary School, characterizes … “is one of the 33 schools in Arua District, in which its Primary One and Two pupils, learn under mango trees. The unpaid teachers, simply squat by the tree trunks, where they prop up their uneven blackboards, for the equally squatting pupils, to take their learning instructions. Needless to say, they will be in-attentive in the dusty grounds of the mango trees. “By the time some of the more than 380 pupils reach the Primary Seven level to sit their Leaving Examinations, as usual, less than ten of then can pass the examinations to qualify for Secondary school. In fact, none of them ever scores a First Class pass. This means that, for all intents and purposes, in this area alone, about one thousand children, yearly, will revert to be villagers with no skills; and no foreseeable organized future. 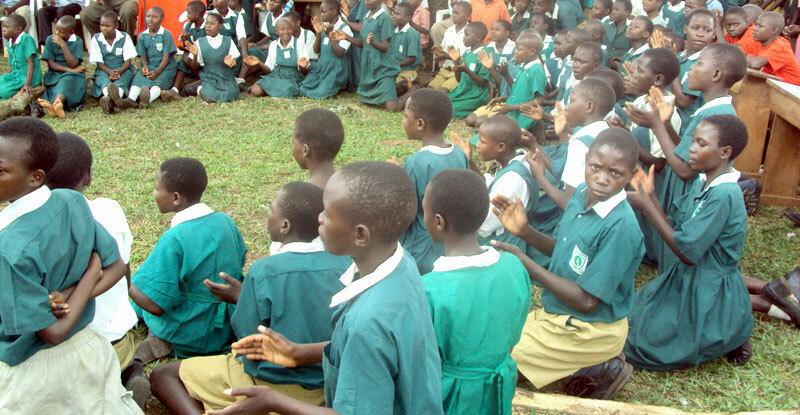 “Even if the district UPE Primary school pupils did well, which is not the case, the greater percentage will undoubtedly impact the whole level of social access the district will have. Multiply this by the more than 120 districts in the country and one is able to grasp the immense problem the education system is faced with.” Thus, Edakua is the corroded national mirror of UPE. Education Minister, Mrs. Museveni, was quick to cast an aspersion at the “chaos created” during the 1960s up to 1980s. This is the usual NRM’s undoubted reference to the “backward regimes” of those yester years. Yet, people assessing those periods with appreciative glance, regard them as the “Good Old Days”. Indeed, the majority of the NRM leaders in power today, belong to that generation when, emerging out of the Colonial administration, this were the golden years of education. It is difficult, if not simply unappreciative, to imagine that, for instance, Makerere University was then in the “chaos”, that it is in like now. In fact in the 60s and 70s education at Secondary and Tertiary levels was paid for by the State. And the teaching profession was the apple of everybody’s eyes. Going back to Edakua: “For the NRM Government leaders … strutting around, proclaiming, “steady progress”… this is a sober reminder of what their legacy is likely to be. More than thirty years later of the regimes focus on UPE and giving “education for all”, what it has boiled down to is simply, spreading illiteracy.” The WB report could not agree more.